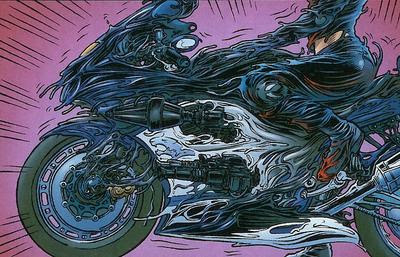 Ride the Machine: Comics: Black Summer Revisited. 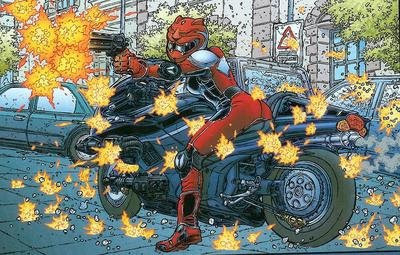 Black Summer is a comic book mini-series written by Warren Ellis, illustrated by Juan Jose Ryp, and published by Avatar Press starting in June 2007. The plot revolves around the consequences of a superhero, John Horus, who kills the President of the United States and several of his advisers. 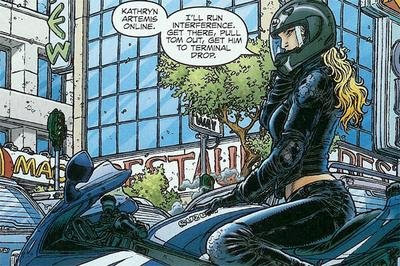 Before her enhancements, Kathryn Artemis (above) was a world-class athlete and marksman. 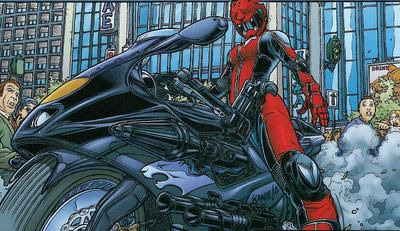 She customized her enhancements by incorporating her motorcycle into the transformation, becoming an armored motorcyclist. Unlike the other members, her background was in history rather than science, and she felt no qualms about killing criminals. Her keyword, Miyamoto, is the Japanese surname of Miyamoto Musashi, a historical swordsman.